January Is National Glaucoma Awareness Month | Volunteer Eyecare | Knoxville, TN | Sight Unseen: Glaucoma Takes Sight without Warning—How to Protect Yourself? What are you going to do differently this year? Take better care of yourself? Sight Unseen: Glaucoma Takes Sight without Warning—How to Protect Yourself? What are you going to do differently this year? Take better care of yourself? Will you exercise more, eat healthier, or make an effort to see the doctor as often as you should? Finding time in your busy schedule to implement those well-intentioned resolutions often proves challenging. But don’t underestimate the importance of those doctor visits – and more specifically, visits to your eye doctor. A quick trip to your optometrist may not only be sight-saving but potentially life-saving. 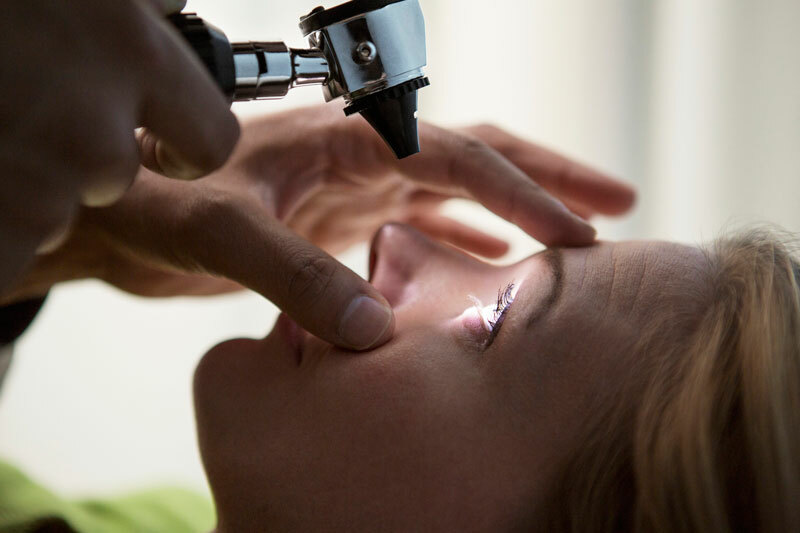 Optometrists can evaluate the health of your eyes and clarity of vision and they can also detect chronic and systemic diseases such as glaucoma, diabetes and even hypertension. You’ve probably heard of glaucoma, but many people don’t know how it can affect – and how quickly it can take – your eyesight. Glaucoma affects more than three million Americans, but over half of them don’t even know that they have it, according to Prevent Blindness America. Glaucoma begins by attacking peripheral vision, typically causing objects to appear less clearly. At first, it is possible to compensate by squinting or turning the head to focus better. But be careful. These changes may seem minor, but glaucoma can accelerate quickly; causing eyesight to rapidly and irreversibly deteriorate. Like many diseases, some factors can increase the risk of developing glaucoma, such as age, race or genetics. Glaucoma usually affects one in 200 people by age 50, but as many as one in 10 people by age 80. The risk of developing glaucoma is much higher among African Americans: four to five times higher. In fact, glaucoma is the leading cause of blindness in African Americans. Not only do African Americans usually develop glaucoma 10 years earlier than Caucasians, they are also six to 15 times more likely to be blinded by the disease. Glaucoma cannot be prevented, but if diagnosed and treated early, it can be controlled. This reinforces what the National Optometric Association and the AOA already recommend: adults need regular, comprehensive eye exams. Fortunately, Medicare covers annual glaucoma screenings for people considered at heightened risk of developing glaucoma, such as individuals with diabetes, those with a family history of glaucoma, African Americans age 50 and older and Hispanic Americans age 65 and older. So start off the new year right: set up an appointment with your eye doctor – and maybe hit the gym and grab a salad on your way home.